Here we go again with the September 2013 Instructor Development Course with Platinum PADI Course Director Richard Swann assisted by IDC Staff Instructors Paul, Liz, Tim & Strike. 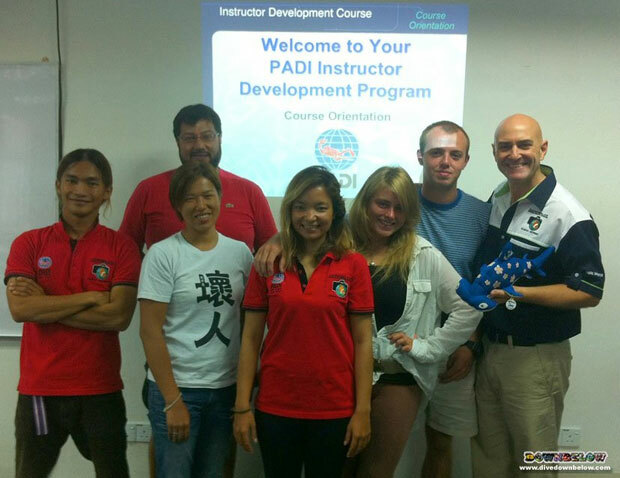 The current PADI IDC will continue until 14th of September and straight after will kick-off the PADI Instructor Examination that will last for 2 days, on the 15th and 16th, after which we’re expecting to continue the proud tradition of our 100% success rate and produce 4 brand new high quality PADI Open Water Scuba Instructors (OWSI). So all of our best wishes to all our IDC candidates Sam, Hannah, Roberto & Kaman. Enjoy the ride guys!